You do not have to venture far from our classrooms to experience the natural environment as National Parks surround Sydney. 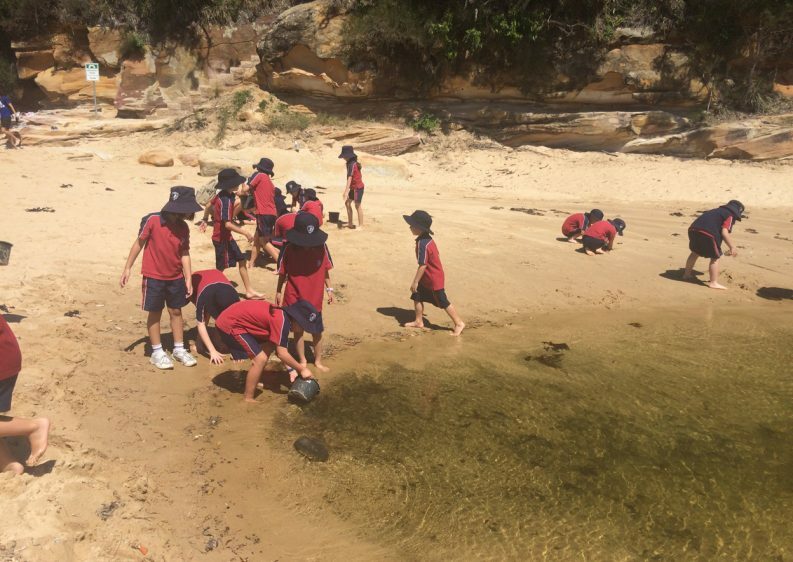 In early March, Year 3 enjoyed an adventurous day at Wattamolla Beach Reserve in the Royal National Park. There was plenty of wildlife and beautiful landscapes to hold their interest. As the students bush walked along the path, they saw a goanna, a water dragon and a possum drey. As they explored the coast, some spied a sea eagle and a dolphin playing in the bay. Students even encountered up close a variety of insects and spiders on their bug catching expedition. This was a wonderful opportunity for the children to study both animal and plant species in their natural habitats, and grow in appreciation of the importance of conservation.